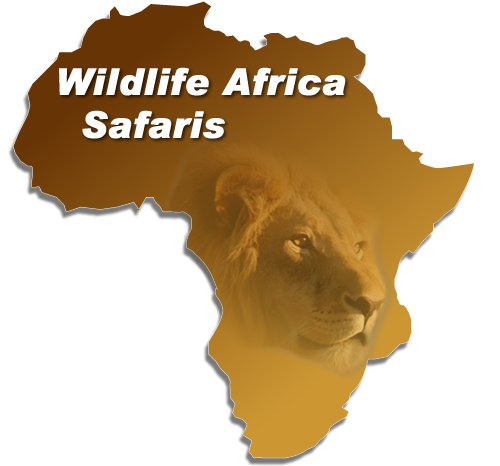 The walking Safaris are limited to eight guests who are guided by two armed rangers. 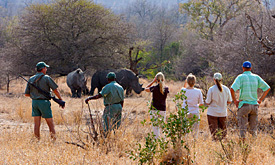 The guides meet the stringent requirements of the Kruger National Park and senior guides hold the highest guiding qualification possible in South Africa. After an introductory brief on the “do’s” and “don’ts” of bush walking safaris, the guide will structure the trail taking into account the fitness level of the group and any special requests. Departures are before breakfast and again in the late afternoon to avoid the midday heat, with the average walk being between three and four hours. Walks may be lengthened or shortened depending on the group’s desires and fitness levels. A typical trail may start at Rhino Post Safari Lodge where guests enjoy morning and evening game drives in open 4 x 4 vehicles. 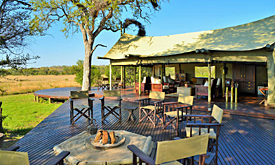 On the day of departure from this lodge, just after mid morning breakfast, guests will be transferred to their tented accommodation at Plains Camp. For something completely different and a totally unrivalled wilderness experience, guests are able to walk from Plains Camp to our Sleepouts. These are 4m high elevated wooden platforms with tents on the top level where guests will be able to literally sleep out under the stars! 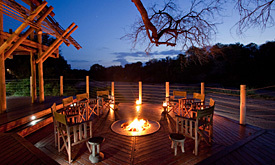 This is the only place in the Kruger National Park offering this unusual accommodation. To ensure a varying and complete concession experience, we suggest that guests participate in a trail that encompasses Rhino Post Safari Lodge (game drives), Plains Camp (primarily walking Safaris) and our Sleepouts, as each type of accommodation and activity is different from the other.